Looking for the best Sugar Hill, Georgia, lawn services for your yard? 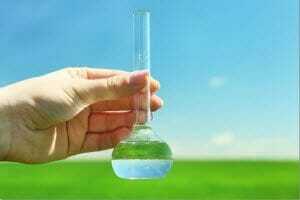 There are plenty of chemical treatment options that can transform your turf into the gorgeous lawn you’re dreaming of. Just find a lawn care provider you like and trust. Next thing you know, your yard will be the go-to barbecue spot for the neighborhood! Kemko provides timely, professional service at a reasonable cost. They always respond very promptly to any questions I may have. I recommend them to others that are looking for a great lawn maintenance service. First and foremost is a chemical fertilizer. Delivering balanced nutrients to your grass shoots has to be a top priority. There are certain times during turf’s growth cycle when it needs an extra boost of nitrogen and phosphorus. A sure-fire method of getting the nutrients to the grass at the right time is hiring a lawn care company to handle the fertilizing for you. Liquid fertilizers are typically the preferred method of feeding turf. Putting vital nutrients into a liquid form helps those goodies get right down to the grass roots for quick absorption. And don’t worry, these products dry quickly, and your grass can be walked on safely within a day or so. Another important chemical treatment for your lawn is weed control. There are actually two kinds of weed control products you have to consider. The first is a pre-emergent, which prevents weed seeds from growing past germination. The second is a broadleaf weed control product. These eradicate the weeds that have already become established in your lawn. Using any kind of weed control product on your lawn requires precise application techniques. A heavy concentration of weed killer can also damage the grass. A light concentration won’t do anything at all. For best results, it’s important to follow the manufacturer’s specifications to the letter. On top of that, you have to be patient after the weed control product is applied. Broadleaf weed killer usually takes a few days to have an impact. Too many homeowners expect to wake up the next day to find all their weeds dead. When they are disappointed with the next-day results, they reapply the product and burn their lawns. 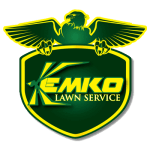 Kemko knows the kind of thick, green lawn you want. Our trained technicians can deliver the chemical treatments it takes to get you a gorgeous lawn this summer. Skip the guesswork of a DIY chemical treatment. Hire your local lawn care professionals for fast and reliable results. Call us at 770-466-6113 to schedule your Sugar Hill, Georgia, lawn services.